We're nearly finished filling my daughter's backpack with all the supplies she'll need for kindergarten. (The last item we need to find is a pack of feathers. Wonder what they'll use that for?) For the most part, I'm confident she's prepared. She can write her name, knows all her letters and numbers, and is just starting to read on her own. Choo! Choo! Chomp! Even though I coordinate our school's science fair, science is a subject that we haven't spent a lot of time on yet at home. However, my daughter has learned a few things through watching shows like The Jim Henson Company's Dinosaur Train on PBS. The show encourages basic scientific thinking and skills as well as discussing various dinosaurs, life science, natural history and paleontology. Both my kids like watching Buddy the Tyrannosaurus Rex travel on the dinosaur train with his adoptive Pteranodon family. Triassic, Jurassic and Cretaceous - I can barely say those words but thanks to the show my children can easily recite them along with spouting out other interesting dinosaur facts. A Colorful Hypothesis: help your child understand and apply the term "hypothesis"
The DINOSAUR TRAIN 16” backpack features Buddy the T-Rex, adjustable padded shoulder straps and 3 easy zippered compartments and side pockets for markers, pencils. The glossy Buddy appliqué makes Buddy virtually come alive on both the blue and brown styles. 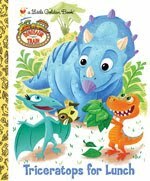 This is a definite back-to-school must have for any DINOSAUR TRAIN fan! While we haven't had the chance to view these products personally, I'm excited about the opportunity to offer some of the products in a giveaway. One (1) Brimful Curiosities reader will win a DINOSAUR TRAIN themed backpack full of new DINOSAUR TRAIN products, just in time to celebrate back-to-school time and kindergarten month! We are using Dinosaur Train as part of our k5 program (science)for homeschool. My daughter really enjoys the shows. Thanks. Oh, I want to win this! My kids love Dinosaur Train, and my son (who just started kindergarten at our homeschool co-op had a Dinosaur Train b-day party). I follow through my Google Reader! we love Dinosaur Train! please consider us entered! My kids are obsessed with dinosaurs. Great giveaway. I am trying to get my kids ready for Kindergarten and 1st grade by doing workbooks. Working on handwriting, basic math, sight words and reading. We always to make sure and have alot of fun. Sending them off prepared really gives them confidence. Dinosaur Train is great. They love the games on PBS Kids. We love Dinosaur Train at our house...stealth science learning! I can't wait until you start doing more science stuff at home. I love the reading stuff, so I'm sure science will be great as well. Dinosaur Train is a great show that all of my kids love. There aren't too many shows that appeal to the broad age range that it does! Our backpack is filled, too, except for a black & white composition notebook. Can you believe I can only find colored? Looks like a great giveaway. We'd love to win! I have not seen it but I'm sher that my little nephew has.I have love dinosaur sence I was in Kindergarden my self what kid has not love them? 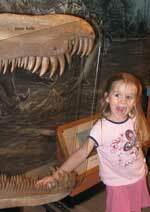 My kids both really enjoy Dinosaur Train and would be super excited if we won. Dinosaur Train is such a fun, educational show. Please count me in to win. What a great give away! My son likes dinosaur anything and would really enjoy a backpack full of dinosaur train goodies. Dinosaur Train! Dinosaur Train! We're gonna ride...the Dinosaur Train! We would love to win! I am also a Google Reader follower! What a great giveaway! This is my kids' fav show! The kids would love this. Thanks for the chance. my little guy loves dinosaurs lately and i'd love to add some dino books to our collection- with 2 sisters we have an overwhelming number of girlie books!! we love the show, too. i had no idea they were coming out with toys!! My children love this show and the Dinosaurs make learning more fun especially for my son, who's really into dinosuars! I subscribe via email, follow too! I also follow publicly!! Thanks again for a great giveaway!! Dinosaur Train is a fav at my house. The kids remember the songs and don't even realize how much they are learning. We love Dinosaur Train! My daughter watches it every day & would love this. Thanks for the great giveaway! I hope your daughter has a wonderful time in kindergarten this year! It sounds like she's ready to go. I never realized there were so many Dinosaur Train products out there. I'll have to check out the activities on their website! My 4 year old would love to win this and take the dionsaur train backpack to preschool with him this year! We love Dinosaur Train! My twin girls would love these games! This is a great giveaway. I have two younger children who would really love this. I mentioned this giveaway in a contest post. Dinosaur Train and Sid the Science Kid are some of the best (eg: educational AND fun) programs for kids out there. My daughters (3 and 6) are both hooked . . . and one of them still needs a backpack. This would be perfect for my grandson. Thanks for the chance. I am a follower and email subscriber. This looks like a great giveaway. My four year old son love Dinosaur Train. My little grandson watches this everyday. I'd love to win this for him. Thanks for the giveaway! My kids LOVE this show. Thanks! My son is so into dinosaurs lately and loves this show. He would love any of these items!!! My kids absolutely love this show. We watch it every morning - which is going to be difficult routine change when school starts! We love Dinosaur Train in our house! Buddy is our favorite. 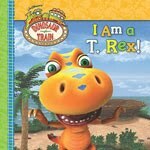 My son loves dinosaur train and knows the difference in dinosaurs. I just love this program, we watch on TV, but see it can be extended into the classroom. GREAT!! We love the show Dinosaur Train. My kids would enjoy these goodies! The kids love Dinosaur Train, thanks. We just went to the dinosaur museum, and my boys LOVE Dinosaur Train. This is a wonderful prize - my boys both love Dinosaur Train! My son loves Dinosaur train and would love this prize.